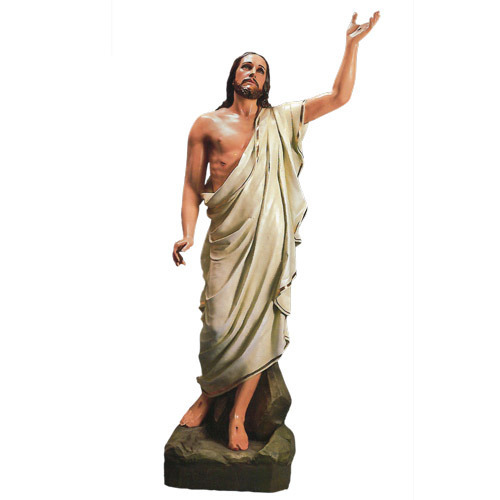 This beautiful Resurrection Christ Statue stands 5 feet tall. Cast in Fiberglass, this statue is then hand-painted, so variances may apply to each individual piece. Also available in Stone-Look fiberglass suitable for OUTDOOR use.